We thought 2009's Arkham Asylum was the best Batman video game that could ever be made  it was a moody, assured outing that let players skulk, brawl and detect among the hero's craziest enemies. Amazingly, developer Rocksteady's second effort with the Gotham Guardian tops that game in almost every way. 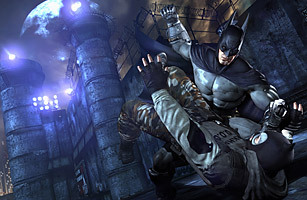 Arkham City takes place in a superprison carved out of half of Gotham that is run by a psychiatrist mastermind who knows Batman's secret identity; it's chock-full of ordinary thugs and dozens of supervillains. The sequel boasts a deeper (yet just as accessible) combat system set in an epically scaled environment where players can swoop, glide and pounce in a plethora of missions. Each white-knuckle fight sequence and spot-on character moment is evidence that the British gamemakers have soaked up every available reservoir of Batman lore. What they've squeezed out ranks among the best Dark Knight material that any medium  film, comic, television  has yet offered.